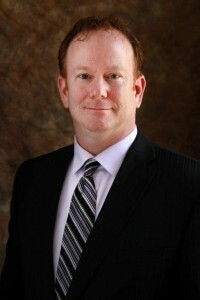 Timothy N. Sullivan, principal with SullivanLaw joins our project to do a podcast about the importance of communication when dealing with Wills. What is one of the biggest issues some face when a family member dies? Why is communication so important and how do you ensure better communication? What should people preparing their Wills know about executors? What kinds of conversations should you have with your family about your Will and your estate? How does all of this affect blended families? How can a lawyer help with communications? We wish to thank Timothy for joining our project and trust that you not only learn from him but we encourage our audience to either contact Timothy directly or a lawyer or an Estate Advisor in your own local community to discuss your estate plans and issues. Based in Ottawa with a practice covering Eastern and Southern Ontario, Timothy N. Sullivan has been practicing law since his call to the Bar in 2002. His focus is on family law and civil litigation, and Wills & Estates. Timothy’s approach is to work with clients to craft appropriate, economical solutions. This often means avoiding court in favour of a negotiated resolution to a problem. However, when a negotiated agreement is not possible, Timothy does not hesitate to argue his client’s position in court. Sullivan Law’s family practice includes marriage and cohabitation agreements, separation agreements and parenting agreements, as well as Wills, Estates and Powers of Attorney for Personal Care and Property. SullivanLaw’s civil practice includes commercial litigation, estate litigation and personal injury actions, from contract disputes to employment-related matters to slip-and-fall injuries. Timothy has argued cases in Toronto, Windsor, Cornwall, Belleville, Brockville, St. Thomas, Kingston, Perth and L’Orignal as well as in Ottawa. He has presented cases to the Ontario Divisional Court, the Superior Court of Justice, the Ontario Court of Justice, the Landlord and Tenant Tribunal, the Ontario Municipal Board, and the Board of Education. He graduated from the University of Windsor’s Faculty of Law and from the Faculty of Graduate Studies at Wilfrid Laurier University. A Will is the last thing you have to do. The problem is, you don’t know when that is. There’s no substitute for proper Estate & tax planning and legal advice before you sign a Will. There are taxes and probate fees you may be able to avoid if you receive proper legal and tax advice when preparing your Will and Estate. Using SullivanLaw to help you prepare your Will & Estate will give you peace of mind that your wishes will be carried out as you intended. We know that in many cases, going to court can be avoided when disputes are addressed early. Taking the time to have the right agreement in place can prevent confusion or difficulties later on. Ensuring you have a valid Will in place, for example, can make a huge difference for your family when certainty and peace of mind are most important. Personal actions for us involve an individual taking action against another individual or an organization. With more than 10 years experience in personal action mediation, negotiation and litigation, we know that it’s crucial for clients to receive clear, considered guidance from the beginning. If you’ve been wondering about your situation and whether you should proceed, give us a call — we’ll be happy to discuss what we can do for you. Civil Litigation is the resolution of conflict between two parties through court or at a government tribunal. We have significant experience in both pursuing suits against people and companies on behalf of clients, and defending clients when they are sued. It can also mean avoiding these actions by early intervention and taking steps to resolve disputes before a law suit. The majority of our cases are solved well before trial; we believe that early and concerted efforts to resolve a dispute often result in solutions which benefit our clients and prevent unnecessary expenditures of time and money. Our #1 recommendation: Engaging a lawyer to review a contract or agreement — from employment contracts and renovation contracts, to insurance releases and mortgages — before you sign — can be the best legal investment you can make. We are pleased to provide free parking.